By CEL Residential Development Pte. 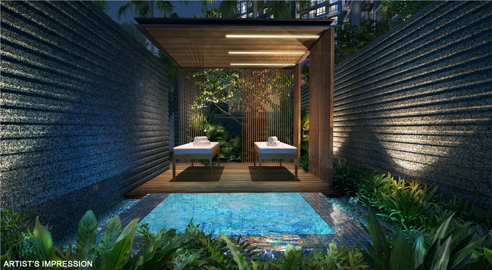 Ltd.
Grandeur Park Residences is a new condo located at upper changi road / bedok south ave 3 in Singapore. 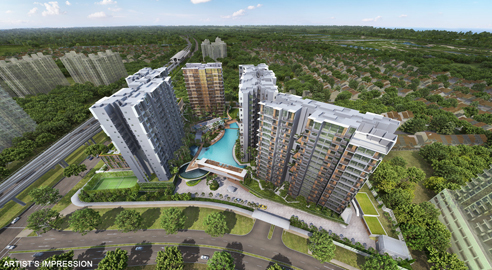 It will consists of 720 units and 2 shops, it is mins walk to Tanah Merah MRT station. 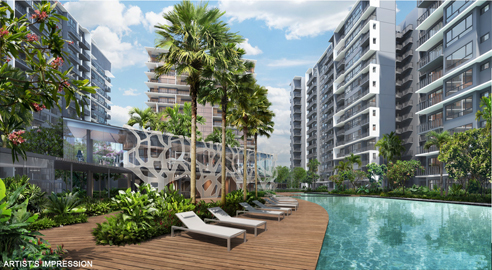 Grandeur Park Residences is also located near to Changi Airport, Changi Business Park, Simpang Bedok, Singapore Expo, Bedok Point and Bedok Mall. 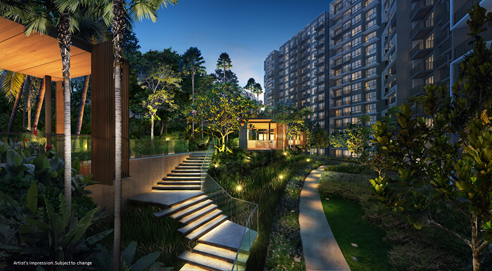 Schools near by include Temasek Secondary School, Bedok South Secondary School, Anglican High School and Temasek Junior College. 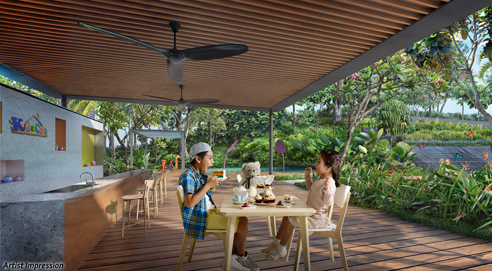 Although nestled in a private residential enclave Residents at Grandeur Park Residences can get to nearby supermarkets and shopping mall within the area for an range of amenities such as grocery, retail shopping, banks, eateries and more. 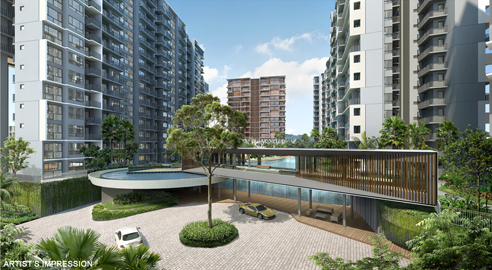 For vehicle owners, driving from Grandeur Park Residences is convenient as it is mins to East Coast Expressway (ECP), Tampines Expressway (TPE) and Pan Island Expressway (PIE). 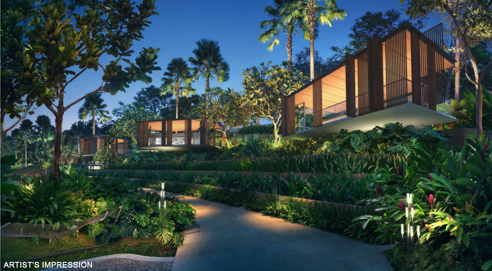 Developer CEL Residential Development Pte. 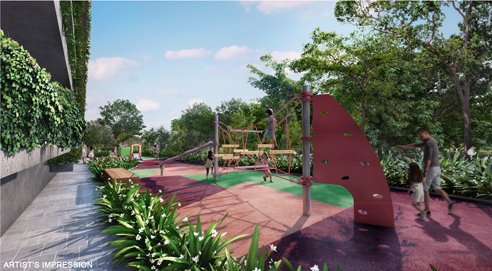 Ltd.
Not only there is wide selection of units from 1 to 5 bedroom apartments and penthouses, Grandeur Park Residences offer 90 facilities (Mind / Body / Soul / Kids) for residents enjoyment. In addition, there is free violin, guitar, fitness, swimming, cooking classes and concierge services provided for residents (Terms applies). 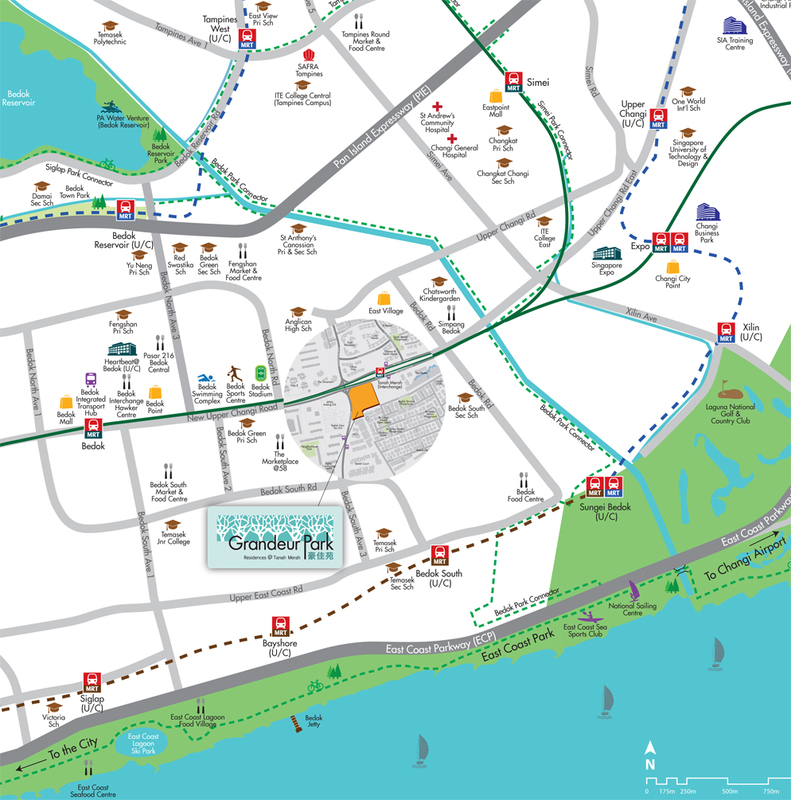 SUTD (Singapore University of Technology and Design) Campus is situated in Upper Changi East is just 4 mins drive from Grandeur Park Residences. It is also just one Station directly link to Changi Airport which will build the new Jewel complex with CapitaMalls Asia. 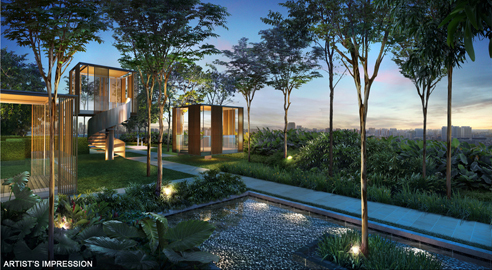 Project Jewel is an iconic mixed-use complex and is envisaged to be a world-class lifestyle destination that will strongly boost Changi’s attractiveness as an air hub. Redevelopment of T1 car park among Changi Airport’s key infrastructure projects to grow capacity and enhance its attractiveness as a global aviation hub. Also, a new Terminal 5 will be built by the mid 2020s to double the airport's capacity. The size of the new terminal 5 will be as big as today's Changi Airport. 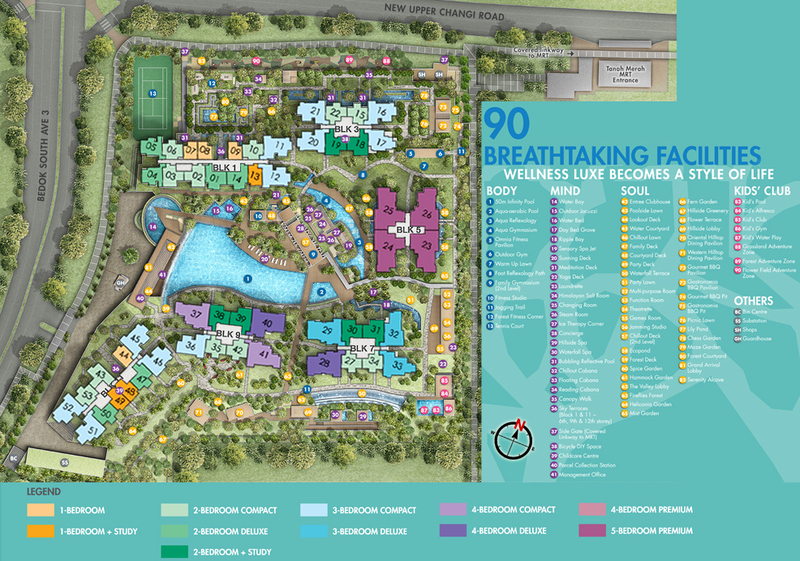 Grandeur Park Residences is also 2 mins drive to the Singapore expo. 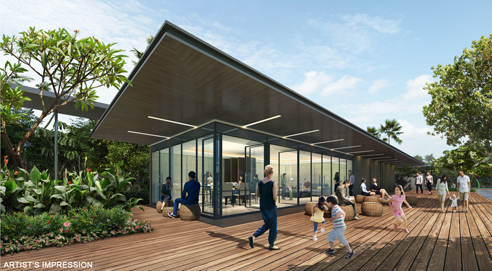 The Singapore Tourism board is planning to expand Singapore expo which will have new business model that could see the 100,000sqm Singapore Expo facilities expanded to include office, retail and even hotel space. 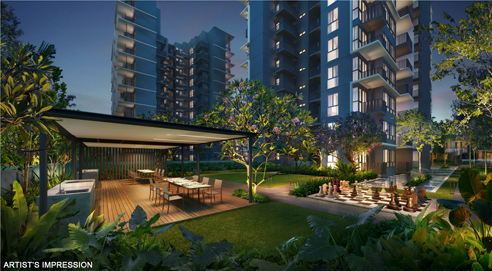 Grandeur Park Residences is a new condo located at new upper changi road / bedok south ave 3 Singapore. 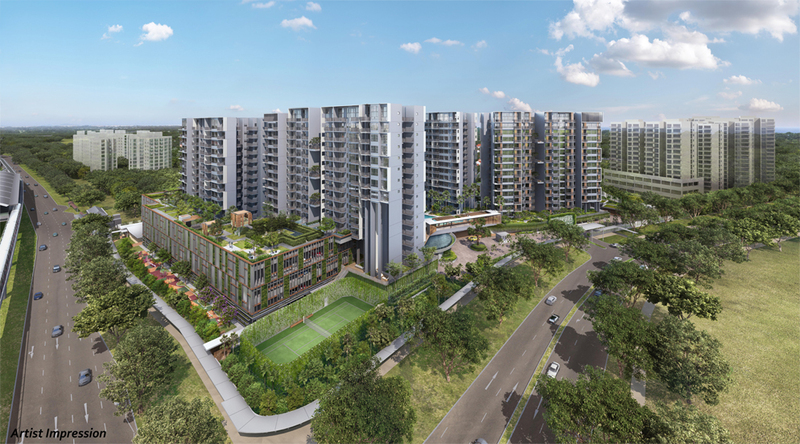 Expected to be completed in 2021, it will comprise of 720 residential units and 2 shops. 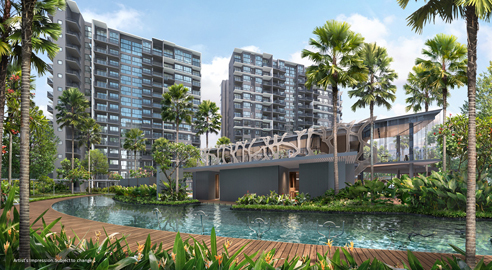 Develop by CEL, which has proven track records for developing wide range of projects in Singapore including the famous Pinnacle at Duxton, Privé at Punggol, Bishan Loft, Grandeur 8 and My Manhattan just to name a few.